Styled with boyfriend sweatpant and brighton t-shirt . 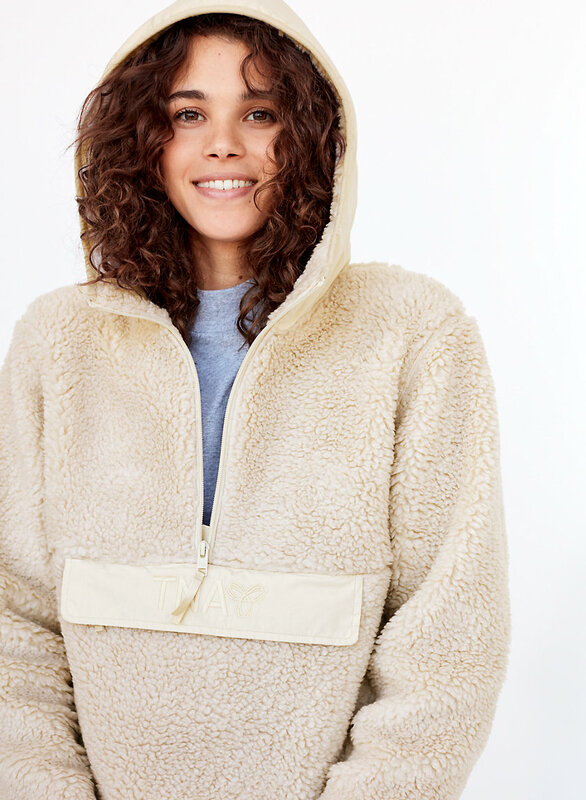 Made from plush vegan sherpa for an oh-so cozy feel, this pullover is totally warm in chilly temps. 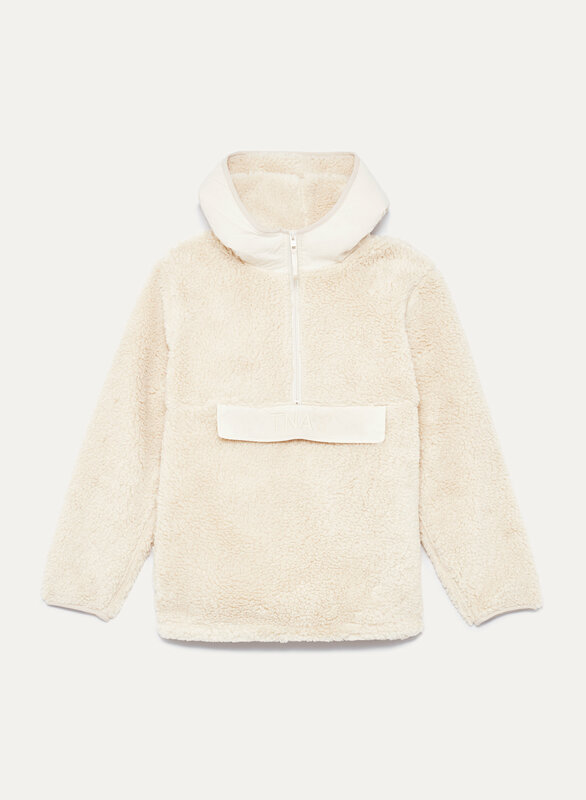 Smooth fabric at the hood and elbows keeps it practical, while the relaxed fit means easy layering. Very good quality and material. I really liked the oversized kind of style, and it was also very warm and cozy. My only concern was that it was very hard to take off. very warm. just too tight for me!